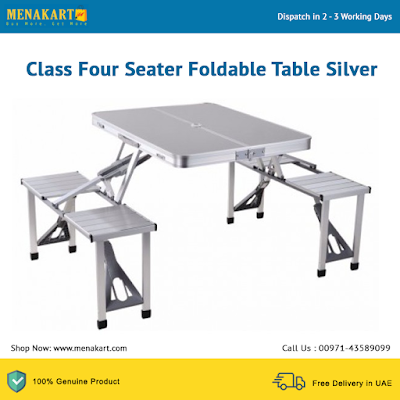 Class Four Seater Foldable Table Silver. This Four Seater Foldable Table is perfect whether it's for a party, picnic, camping, public event or a bit of DIY either indoors or outdoors, this lightweight 4 Seater Foldable Table can be transported easily with its carry handle and set up in an instant. When you're finished, it folds away for easy storage.